The River Damsel: What Have I Unleashed??? 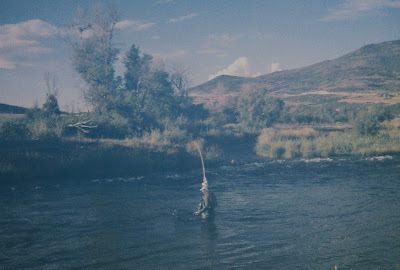 Yet, another "incognito" picture on the Provo River, but with bended fly rod! My phone is now toast. We should have better pictures next time out! NEXT UP: The RD Adventure Train picks up a weary traveler...Troutrageous! I think the Rainbows will wake Mike up...If not, we will let him take a nap on the side of the river after he eats his pastrami/provolone sandwich. 20 min. power nap there, big guy! We got fishin' to do!! If I let that hairy guy come along, he won't steal my fishing hole, will he??? "Good Eats" when you are with the River Damsel! Sounds like you did an Emily on him! His goose is cooked now!!!! Alan - Good to have a reader that appreciates the finer delicacies in life! Lol. Hey Em, have a good time with Mike...well you know what I mean. Don't get too Troutrageous! on us though. 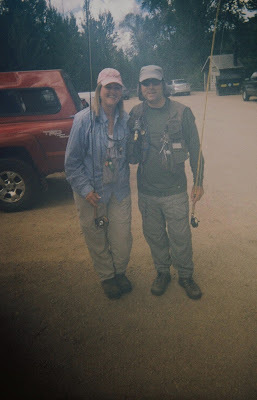 Marc is really a great guy and I'm looking forward to my neighbor and I fishing together soon. He's harder to meet up with than Mel. Ask me about where you can get the best pastrami on rye. Howie... 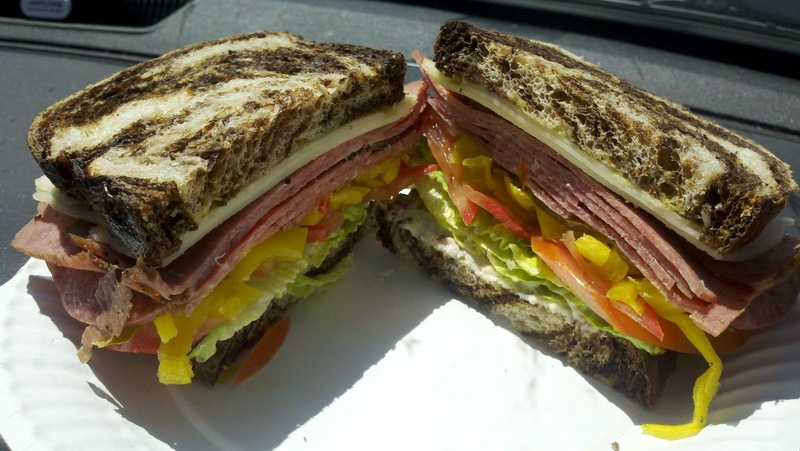 This has to be my favorite Sammy, hands down. 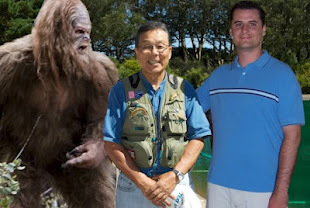 I will ask... And if that Chubaca Bigfoot shows up, this trip could go down as an all time classic! Jason's Deli if they have them there have the best pastrami outside of New York. You are about the most social blogger I've ever followed on the fly fishing end of things. Have you ever considered doing interviews with your fly fishing contacts and then posting their answers? It might make some interesting reading. Favorite rivers, fly patterns, techniques, pet peeves etc. It might really make for some interesting reading!!! Hairy guys, good eats, trains---can't wait for the next adventure! !----is the train ride a short trip or an hour or so?? Bill ~ I will give you one clue... "Smokey and the Bandit"...stay tuned. Should be posted Tuesday! Smokey, The River Damsel and Troutrageous!